It's personable: This is a great option for training multiple people within your organization in a face-to-face event offered by a highly experienced FOCCUS Trainer. It can provide revenue for you: You are able to set your own pricing for the event (FOCCUS will charge your organization $100 per attendee). You can combine it with other training: You can couple FOCCUS training with additional information you would like your facilitators or mentor couples to know. It's easy: FOCCUS will work with you to bring a National FOCCUS Trainer to your location to present the training materials, provide facilitation practice, and answer any questions you or your trainees may have about FOCCUS. FOCCUS Trainers are international speakers who have delivered motivating, content-rich presentations to associations, corporations, churches and conferences throughout the U.S., Canada, Europe, South Africa and Australia. Their ability to teach from their experience as FOCCUS Facilitators, combined with their enthusiasm, make their presentations and workshops dynamic and motivating. 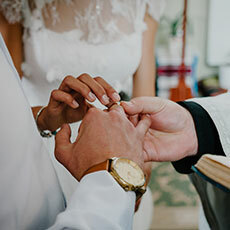 Training also includes information about the REFOCCUS© Marriage Enrichment Inventory, a set of five self-administered questionnaires suitable for couples who have been married for more than two years. The REFOCCUS© Marriage Enrichment Inventory is a pencil-paper inventory that does not require a trained FOCCUS Facilitator and is a wonderful resource for your organization's couples.